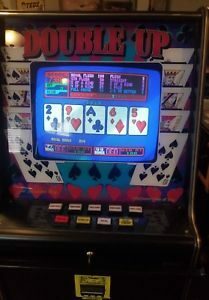 Home » Blog » What is the difference between card and coin operated pokies games? Pokies gaming machines specially that operated at land casinos the players will find two type of commonly pokies one that is operated by card and other that is operated by coins. 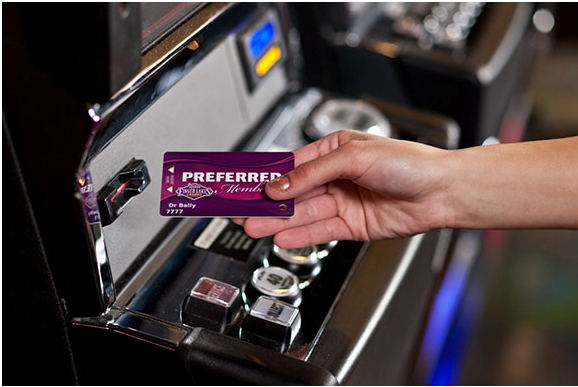 Lately the coin operated machines are now less in number as most poker machines are card operated, with value being added directly from the user’s credit card. This shows that card-operated poker machines have taken over from the more traditional coin-op poker machine. But that doesn’t mean you will not find coin operated pokies. Though as said above less in number coin pokies games are now classic ones and these antiques can still be found at few land or real casinos. In fact, in the early 20th century, demand for coins to operate a coin operated poker machines was so high that the design of the Liberty Head nickel in the United States was briefly delayed. Similarly, some reports indicate that the introduction of Space Invaders in Japan caused a countrywide shortage of the Yen 100 coin. For some players, the appeal of a coin operated poker machines is in the physical sensation of inserting a coin and pulling a lever. Where to find coin operated pokies? Pokies machines and other coin-operated arcade machines are typically found in two types of locations: locations of convenience and destination locations. Locations of convenience include machines found in airports, convenience stores, restaurants and bars; while destination locations include theme parks, family entertainment centres, carnivals and arcades. 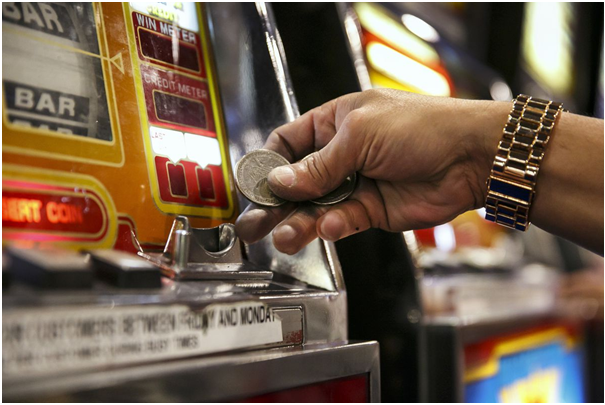 Most coin-operated video games consoles and other amusement arcade games are aimed at teenage and young adults men and women who love to play on coin operated poker machines. You must have seen that land or real casinos offer players a card or credit card or players card to play pokies. These cards are priced according to level of the player. Many American casinos offer free memberships in “pokies clubs”, which return a fraction of the amount of money that is bet in the form of comps (complimentary food, drinks, hotel rooms, or merchandise), or sometimes as cash or a promise to pay cash at a later date. 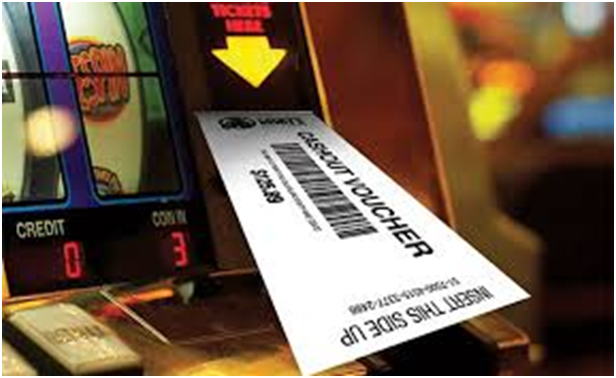 These clubs require that players use cards that are inserted into the pokies machines, to allow the casinos to track the players’ “action” (how much each player bets and for how long), which is often used to establish levels of play that may make players eligible for additional comps. In Queensland, gaming machines in pubs and clubs provide a return rate of 85% while machines located in casinos must provide a return rate of 90%. Most other states have similar provisions. In Victoria, gaming machines must provide a minimum return rate of 87% (including jackpot contribution), including machines in Crown Casino. As of December 1, 2007, all gaming machines with support for $100 notes were banned due to an amendment to the gaming laws; all gaming machines made since 2003 comply with this rule. This new law also banned machines which would automatically play with the button held. 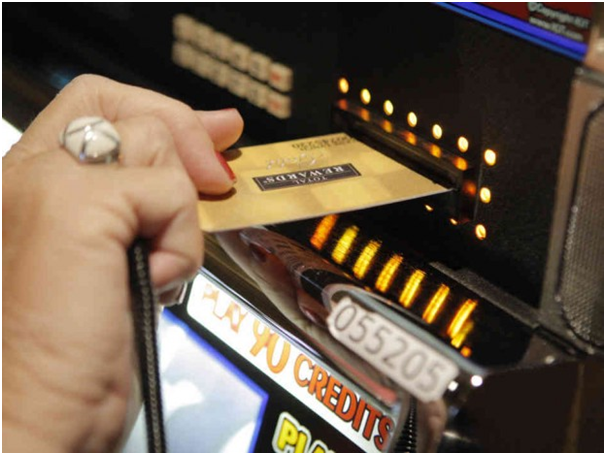 One exception to these laws exists in Crown Casino, any player with a VIP loyalty card can still insert $100 notes and use the autoplay feature, whereby the machine will continue to play without player intervention until credit is exhausted or the player intervenes. 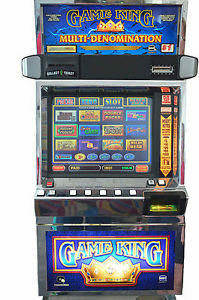 All gaming machines in Victoria have an information screen accessible to the user by pressing the ‘i key’ button, showing the game rules, paytable, return to player percentage, and the top and bottom five combinations, with the odds shown. These combinations are stated to be played on a minimum bet (usually 1 credit per line, with 1 line or reel played), excluding feature wins. Why card operating pokies is more popular? Also known as cashless gaming in some casinos these plastic cards are of monetary value. The card based gaming system provides players with a centralised host account which is accessed from the gaming machine by inserting a plastic card with a machine readable secure ID number. The number accesses the appropriate account and the system down loads the account balance to the machine’s credit meter as an on-line transaction. The machine is then played just as it is today. Once play is complete and the player chooses to cancel his/her credits, the system transfers all remaining credits back to the central account. We refer to such a gaming transaction as “Account Play”. With the card now used as an implicit part of gaming cashflow, card utilisation rates are much higher than has been the case with traditional promotional systems. This new card usage profile pave the way for the introduction of Return On Investment (ROI) link and bonus systems providing progressive rewards and incentives linked to players’ Accounts. Increased turnover will result in addition to reduced venue costs and better customer service. The Account Play concept was first introduced in Victoria, Australia by Tabcorp Holdings Ltd (Licensed State Gaming Operator) in 1992. Over 8000 Account Play machines were installed across 250 sites with a total of over 6 million cards issued making this the largest card based gaming operation in the world. Being an on-line network, Tabcorp’s system architecture did not demand off-line memory storage capability on the card, save for the ID number. Importantly, the ID number could not be susceptible to duplication, alteration or erasure. The card technology chosen to meet these requirements was Watermark Magnetics. To date, there has not been one instance of card fraud in Tabcorp’s system – testimony to the quality of overall network security and, in particular, Watermark Magnetics card security. Tabcorp’s solution was not easily transportable to the Club / Casino environment as it was structured around a mainframe based wide area network rather than a stand alone venue model. Nevertheless, its basic concept, with some key implementation modifications, was precisely what the NSW Club market wanted. 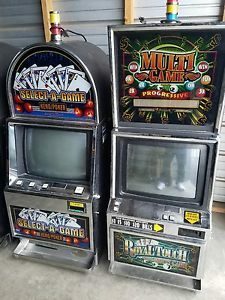 Where to buy coin operated and card operated pokies machines? Coin operated as well as Card Operated pokies machines are for sale at eBay and other websites that sell old or uses pokies machines. You can buy these machines for your clubs or hotels or casinos for commercial use as well as for fun and entertainment for personal use. Previous: How to operate a pokies gaming machine in Australia for commercial use? Next: What are Arcade pokies machines and where to buy them?